In 2006, we launched SelectAware.com as a way to help smart and savvy shoppers save money. 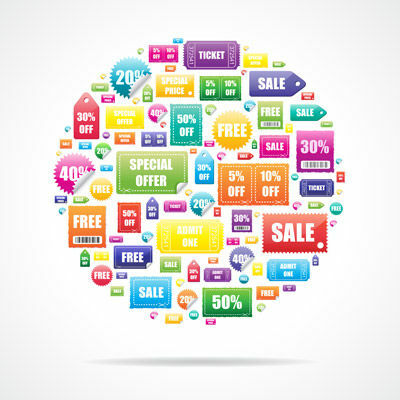 We realized consumers like us were looking for promotions and coupons for online stores across the web. We launched SelectAware, offering any kind of promotional information and coupons we could get our hands on - and offer it free of charge! At SelectAware, our goal is to reach as many online shoppers as possible, and show them how saving is as simple as knowing where to find deals on a company's website, clicking on a link or entering a coupon code. There are no gimmicks and stores usually don't have catches - but we'll let you know if there are! SelectAware has evolved and now works directly with various online retailers to bring shoppers discounts, coupon codes, deals, and any other offers to help you save. We offer deals on close to 1600 of the major stores online, and our internal team meticulously updates and tracks new promotions released by the stores we list. We are in the business of quality, and this is why we have so many loyal visitors. At SelectAware.com, we are also continuously adding new tools to make it easier for our visitors to find the discounts they are looking for. Our shoppers, on average, can expect to save $21 per order. We don't just talk about savings - we make them happen! As co-owner of SelectAware.com Ayse Gider said, "I'm a mother and entrepreneur. It's important for me to know how to stretch a dollar, and SelectAware allows me to save while sharing my savings with other smart shoppers! It's amazing how many great deals there are out there, and with so may of the top stores." If you're new to the site, you'll find our featured deals listed on the homepage. These deals are from premier stores, offering the best savings (and the ones most requested). We also showcase our new coupons, today's most-clicked coupons, and the coupons soon to expire. All of our coupons are sorted by stores, and broken into categories. Each category serves a various function - like toys and games - and offers the hottest retailers' savings and deals. The best way to start your search for a coupon at SelectAware.com is to use the search engine at the top of the page. It's an easy to use tool, where you can search by store or category, product deals or articles (for instance, you might type in Target or Staples, and once you hit enter all the deals for those stores will pop up beneath the search engine). A good rule of thumb when searching, is to remember not to rush, and that you can always go back. Take your time and play around on the site. Click through various links and products. Once you've been to the site a few times, you'll find you're more familiar with how to use it than you might expect. If you're more of a category person, you can search by books, clothing, auto-parts, home decor, etc - and find the stores in your category that offer the best savings. Since there are a lot of stores listed by each category, expect to find a wide variety of deals. Savings typically range from free shipping and returns to (up to) 50% off on items, to buy one get one free, and even eGift certificates. We've taken it one step further, offering tabs on the homepage specifically targeted to different savings. Whether you're looking for Rebates, Dollar/Percent Off, Clearance, Freebies, or Free Shipping, you can click on each button and find a list of stores and categories offering just what you need. These are updated regularly as well, so be sure to click back if you've been away for a few visits. We ask you, why clip coupons when you can save at the click of a button? SelectAware.com also offer contests, exclusive deals, and savings tips. Saving is it's own source of fun, but we hope to go above and beyond for our site visitors. We feature related stores and what's new to the site - along with quick links to savings. Our blog is full of the latest ways to save on everything from holidays to birthdays to back to school deals, and more. We share our personal tips on saving, as well as those sent in by SelectAware.com consumers. For those new to the ways of online coupon saving, we break down how to utilize our coupons to their best advantage. As there are typically two types of coupons - those with "coupon codes" and others which are automatically applied by clicking on our specially formatted links to the store's website - it can be confusing on how to determine which coupon and instructions are necessary. Over at our "How do I use a Coupon?" section we take consumers through the step-by-step process. Another great way to save is through the SelectAware newsletter where consumers can sign up It's a weekly round up of the best coupons and deals - all from well known and reputable stores. We update it with the most clicked coupons, new deals, and tricks for saving. Shopping online can feel overwhelming, and we like to think of the newsletter and website as a place for savvy shoppers to slow down as they find tools to save. When a consumer joins SelectAware.com, not only is it completely free - but by signing up they are also able to track and use coupons with even more ease. It's a great way for anyone to save their favorite coupons and find them later. We even remind our savvy shoppers when their coupons are about to expire, while tracking new coupons and offering email alerts so no one will miss the chance to nab a coupon when their favorite stores have a new deal. Coupons are everywhere today. Many companies offer coupons you can print directly off of their site, while others reward you with coupons when you sign up to receive their electronic newsletter. We try to highlight each store and how a consumer can best utilize it, and navigate its site. Jimmy Uhing, co-owner of SelectAware.com, advises consumers to look to the blog and this infographic for the best deals throughout the year. "We target savings to correlate with our shoppers needs, and try to meet their expectations to the best of our ability. Many shoppers email us with what they're looking for, and we make sure to work with the stores most requested. When it comes to seasonal wants, we break down how best to save for the various holiday sales and deals." Whether it's wedding or moving time, back-to-school or prom, Christmas or Halloween, SelectAware provides savings fit for each season and shopper's need! We also want our shoppers toolkit to be armed with awareness. When it comes to online shopping, always choose reputable sellers. We make sure our site is home to only the top sellers, but when you're coupon shopping elsewhere, be sure and do your homework. If you're unfamiliar with the provider of the coupon, check out their website. Read reviews, and verify the seller is reliable. Don't forget to comparison Shop! Often a comparable retailer may offer better prices, so, for example, if you're into Old Navy, be sure to check out Target and H&M too. Be sure to check out more of these tips at the savings blog. "Used your site for the first time today...Awesome! I saved $9.00 that I wouldn't have saved otherwise...and it couldn't have been any easier....thank you!" "Thanks so much! You saved me $100." "Thank you so much, it could not have come at a better time. All I can say is thank you and God Bless you." "Thanks for the Amazon.com Gift Card. I love shopping on Amazon! --It was totally out of the blue. I am disabled and my only source of income is my ssd payment. This will allow me to get a "TREAT" for myself, and a thank you seems so inadequate. None the less, many sincere thank you's and a spectacularly great day/weekend!" "Great deal but how are we supposed to know about these coupons before we place the order? I only found it surfing the net!" Our response to Geneva was, to find out about the best coupons before placing your order, just bookmark SelectAware.com! To find out more about how to use SelectAware.com, look at our how to use coupons tutorial.